Guided walks & sightseeing in Cornwall on the south west coast path and along the Thames River path near London. Visit Stonehenge, Tintagel Castle, Old Sherborne Castle, Stourhead Gardens, Hampton Court Gardens, and other castles and gardens. Stay in the historic village St Ives on the beautiful Cornwall coast. Discover the dramatic and spectacular Cornwall coast and the fascinating history of the area - The scenery is magnificent, the air is fresh, and the villages are a display of stonework, charm and friendliness. This is Doc Martin, Daphne du Maurier and Poldark territory! The United Kingdom’s legendary history, rich culture, spectacular scenery and wealth of walking trails offer a broad range of exciting exploration opportunities. Our Exploring the Walks and Gardens of South West England holiday combines these interests and feature coastal walks at their very best – steady paths dotted with boulders, and ruins clinging to the precipices – trails that meander along the cliff tops and down onto sandy beaches with rock pools and hidden coves – and, inland through fields of flowers and farmland with ancient relics scattered about – luring the visitor to imagine. All of this makes the United Kingdom a rambler’s paradise and an ideal place for an invigorating and inspiring holiday. 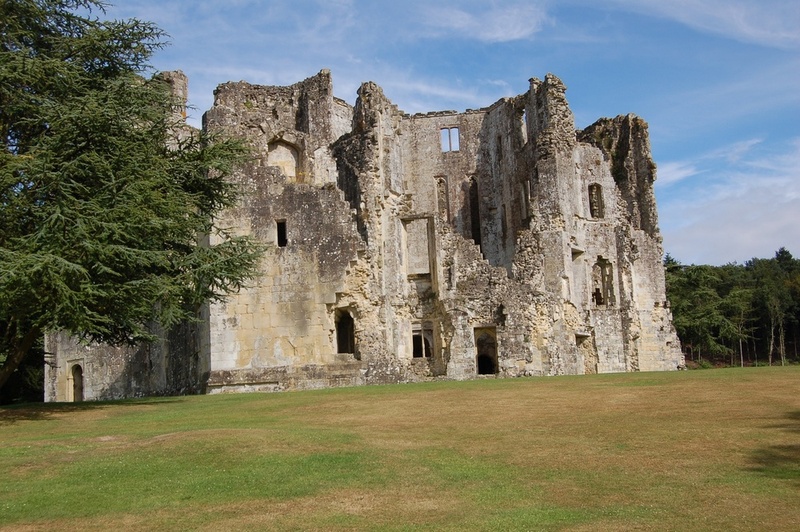 On our drive through the scenic countryside to Cornwall and the Land’s End area of England, we warm up our walking muscles and explore the delightful ruins of Old Wardour Castle and Sherborne Old Castle. For our major walks, we will be based in St Ives, a quaint and picturesque village that is a seaside holiday resort catering to walkers. St Ives is also an artisan center and along with galleries, museums and boutique shopping, it is on a part of the South West Coast Path that offers some of the most spectacular scenery and walking trails on the entire 630 mile route. Our hotel is located on the coast path from which we can step out the door to begin our day’s walk. We also explore inland and coastal villages, abandoned mining town, ruins perched on the cliff edge, and enjoy lush woodland walks where the footpaths often pass ancient standing stones and other prehistoric remains. Our final major walk will be along the river on the Thames Path National Trail from Kingston-Upon-Thames to Hampton Court where we stroll through the luxurious gardens that surround the Palace. Discover Cornwall's mystique, charm and stunning scenery from its cliff top vistas of the Atlantic, expansive stretches of sandy beaches, farmland scattered with prehistoric monuments ---- a unique and lovely area of England. Traverse the rugged beauty of the South West Coast Path and the quiet beauty of the river walk along the Thames Path. Taste the area's specialties -- clotted cream, pasties, seafood and, of course, a cuppa at their finest. Wander through the beautiful and fragrant English gardens, renowned around the world for their landscape, formal and cottage gardens. Explore historic sites that offer both a history lesson and an opportunity to walk in this beautiful land. Enjoy the benefits to your well-being of Going for a Walk! Accommodations en-suite as per the itinerary for seven (7) nights. Accommodations are handpicked 3 and 4 star rated facilities with all necessity and comfort amenities. Most meals, excluding beverages, as indicated on the tour itinerary to include 7 breakfasts, 5 lunches, and 7 dinners. All in-country ground transportation from the tour start at London Heathrow to the tour end at Kingston-Upon-Thames, unless otherwise noted. Full program of guided walks with experienced tour leaders and professional local guides. Your leaders have over 15 years of experience guiding in the United Kingdom and Europe and have a thorough knowledge of the walking trails, history and culture of the areas we visit. Personal touring services from our Great Circle Route travel leaders who arrange all aspects of the holiday for you and are with the group every step of the way. the designated tour starting and ending locations are not included. All beverages (including those taken with an included meal). Accommodations are in 3 and 4 star rated facilities, often with historical or architectural interest. All guests have single or double rooms with a private bathroom, television, hairdryer, telephone, alarm clock and most also offer free Wi-Fi and tea and coffee making facilities. All breakfasts are part of the hotel stay and are usually large buffets with traditional English fare such as porridge, eggs, sausage, yogurt, cereal, fruit, toast, jams, juices and coffee and tea. Lunches are typically in country pubs along the trail and offer regional specialties and a varied menu selection of tasty baguettes, baked potatoes, sandwiches, salads and delicious soups. Dinners at our hotels are usually 3 courses of a high standard and include regional specialties with the finest and freshest local produce. Special dietary requirements are never a problem – so please let us know. We strive to ensure a relaxing and comfortable dining experience with excellent food. White Hart Hotel in Kingston-Upon-Thames. 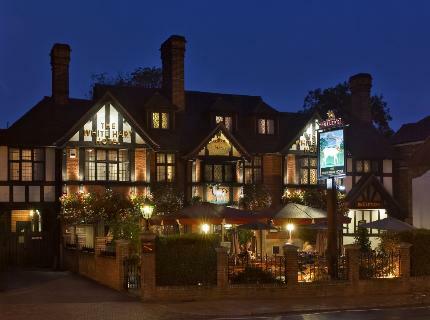 The White Hart Hotel is conveniently located across the River Thames from Kingston and is 8 miles from London’s Heathrow Airport, a five minute walk to the nearest rail station with connections to London, and across the street from the Thames Path National Trail. All rooms are comfortably furnished and include a private bathroom, air conditioning, television, hairdryer, ironing facilities, free Wi-Fi and breakfast. South West Coast Path & St Ives Area Walks. The walks from our St Ives base will be between 7 and 11 miles per day. The easy walks may be slightly rolling with little change in elevation. The moderate and more challenging walks along the coast may go from the shore level to the top of the headlands and back down to the coast with varied levels of ascent and descent. The terrain varies between hard packed dirt, sand, rocky or loose stones, farm lands and paved country roads. Our guides have many years of experience and are well-versed in the area as well as in the variable weather conditions. Daily walks will be selected based on which trail is best suited for the day based on weather and current path conditions. St Ives to the east along Carbis Bay and the Hayle Estuary/Lelant downs/Ludgvan/ Trencrom Hill Fort/St Michaels Way/Treganna Golf Course and return to St Ives. There is great variety on this walk from sweeping views of St Ives Bay and islands in the distance, beautiful beaches, grassy dunes and heather filled meadows offering colorful hues and wildlife, to medieval churches and ancient Cornish crosses, prehistoric dolmens, and plenty of stone walls and farmland. A portion of the path follows the ancient pilgrim route called St. Michael’s Way. St Ives to the west along Trowan and Trevega cliffs, Zennor cliff, Zennor/Boscubben/ Trevega and return to St Ives. This part of the South West Coast Path is more remote and rough going in sections but it is also one that offers the most spectacular coastal scenery. Our start is a pleasant stroll past St Ives Head, a rocky outcrop above the town from which there are beautiful views across the bay to Hayle Sands and Godrevy Lighthouse (of Virginia Woolf fame). The coastal path becomes more challenging as we continue west out of town, but you will be rewarded by a sense of personal accomplishment and the magnificent, pristine coastline, sheer cliffs and wild seas crashing into the boulders below. There are endless views from Clodgy Point, Tor Point, and Zennor Head and a view of The Carracks Island may reveal sunbathing grey seals. Rosemergy to Ding Dong mine/Boswarthen/Newbridge/Great Bosullow Farm/side of Watchcroft and return to Rosemergy. This walk explores the open lands with outcrops, ancient towns, remnants from the areas mining past, and Neolithic ruins, including a few stone circles. Treen/Land's End/Sennen Cove/Mayon/Poenberth Valley/Treen. Beautiful coastal scenery and quaint fishing villages, iron age remains, and the most westerly point in England, Land’s End. Land's End along the coast path to Porthcurno and back through the countryside to Land’s End. St Michael's Mount/Tremenheere Sculpture Gardens/St Michael's Way/Penzance. The Thames Path from Kingston-Upon-Thames to Hampton Court Walk. This walk is a pleasant stroll on the Thames Path which runs along the banks of the River Thames from Kingston to Hampton Court Palace Gardens. The path winds its way along the river for 3 miles where we leave the path to visit Hampton Court Gardens. The path is flat and follows the shoreline where we see wildflowers much of the year and a great variety of birds. Inside the Hampton Court Palace complex, we explore the expansive grounds and beautiful gardens that extend over 60 acres. Old Wardour Castle. The English Heritage site of Old Wardour Castle is a perfect start to our travels. Built in the 14th century as a luxury fortified residence, it was badly damaged in the civil war (mid 1600s). You can explore the ruined castle rooms, climb to the top of the turrets which offer great views, and you can stroll through the lovely landscaped grounds. Part of the movie Robin Hood, Prince of Thieves was filmed on this location. Sherborne Old Castle. Also part of the English Heritage managed sites, these ruins are set in the beautiful Dorset countryside and are originally from a 12th Century fortified palace which was at one time leased from Queen Elizabeth by Sir Walter Raleigh before he was locked in the tower for marrying one of the Queen's ladies. It is said to have been a favorite of his and the grounds are a good place for easy exploration and wildlife observation. St Ives. St Ives is a quaint village in an idyllic setting with cobblestone streets and a protected harbor. Once a fishing village, it now is a much loved seaside holiday resort catering to beach goers, surfers and walkers who come to hike the magnificent South West Coast Path. St Ives is also an artisan center and offers the Cornwall staples of seafood, pasties and clotted cream, along with galleries, museums and boutique shopping. Trelissick Garden. A National Trust property, it combines floral bounty, riverside walks, landscapes and exotic trees and shrubs in a unique setting on its own peninsula overlooking the River Fal. Trelissick Gardens has over 30 acres of elevated gardens and 300 acres of woodlands. We will walk along the twisting paths through the mass plantings of daffodils which are seasonally followed by camellias, magnolias, rhododendrons and viburnum. There is also a gallery showing local Cornish artistry, a café’ for refreshments, and a modern apple orchard. Stourhead Estate Gardens. 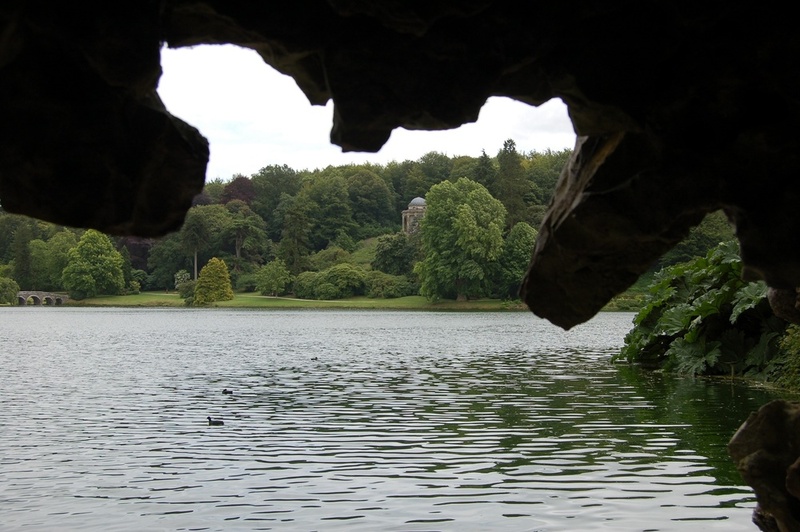 Stourhead Estate Gardens is an expansive landscape garden with four season interest. The tour of the gardens will follow the route first designed in the 18th Century and which wanders through walled gardens, shrub borders, lawns, grottoes, woodlands and temple accents. Spring and autumn are prime times to visit Stourhead since the property is filled with color from its many rare and exotic trees. Stourhead is considered one of the premier gardens in the world. Tintagle Castle: We will walk along the rugged coastline and around the castle ruins of Tintagle located on the beautiful northern Atlantic coast of England in Cornwall. The original settlement dates to the late Roman era and the current remains date to the 13th Century. The ruins can be explored and while much of the castle has fallen into the ocean below, the stunning scenery, history and legends surrounding King Arthur make for an imaginative experience. If the tide level permits, it is also possible to visit Merlin's Cave. Hampton Court Palace Gardens: The gardens include over 60 acres of formal gardens and 750 acres of royal parkland and are part of Hampton Court Palace, former home to King Henry VIII and his heirs. The gardens are magnificent in all seasons – manicured lawns, landscape gardens, The Privy Garden, Tiltyard, 20th Century Garden, The Orangery, The Ponds and the many flower borders throughout the grounds. The gardens are also home to the Great Vine, the oldest living vine planted around 1768, and the Palace Maze, first planted during William & Mary’s rein in 1690, and said to be the oldest maze in the world. Stonehenge: The UNESCO World Heritage Site of Stonehenge is part of a prehistoric complex located in an area rich in Neolithic and Bronze Age archaeological sites in the countryside just west of London. It sits on the Salisbury Plain and was first constructed around 3,000BC. Many of the stones are not native to the area, adding to the mystery that has intrigued archaeologists and visitors for centuries. We walk along the stone circle perimeter with fascination as to its purpose and its engineering. Geevor & Levant Tin Mines. We travel to Pendeen and walk around the sights of Cornwall’s mining sites. The stacks from these mines dot the landscape and feature in the region’s history since tin and copper were mined in the 19th and 20th centuries. Both mines are World Heritage Sites and Levant is the backdrop for the popular Poldark television series. Tremenheere Sculpture Gardens. Large scale exotic and sub-tropical plantings interwoven with an evolving program of contemplative art installations – a lovely stroll through the woodlands, ponds, arid and bog collections. Tregenna Castle Gardens. The gardens are set within 72 acres overlooking St. Ives Bay. There is a sub-tropical walled garden, water garden and natural woodlands. Trebah Gardens. The sub-tropical gardens of Trebah offer a year round experience – rhododendrons, magnolias, camellias, the giant gunnera, hydrangea, and southern hemisphere flowers. The footpaths extend over 4 miles through gardens to the Helford River and Helford Passage. Interestingly, the World War II assault on Omaha Beach in Normandy was launched from Polgwidden Beach at the foot of the Trebah Gardens. Trengwainton Garden. Sheltered garden with exotic trees and shrubs and rare plant specimens from around the world. Magnolias, rhododendrons and camellias, walled kitchen garden, tea-room garden and winding wooded paths with views across Mount’s Bay. St Michael’s Mount. Tidal Island in Mount’s Bay linked to the town of Marazion by a causeway. Managed by the National Trust, the earliest buildings date from the 12th century with an interesting history in a lovely location and with pretty gardens. We either walk or take a boat to the Island. Cornwall. Cornwall County lies on England’s southwestern tip, forming a peninsula that is considered one of England’s most picturesque regions with rocky cliffs, white sandy beaches, mystic moors and natural habitats. The diversity of the landscape throughout Cornwall shifts from wild moorlands, high cliffs, rugged shorelines and crashing surf in the North Atlantic contrasted with the sheltered south coast which hosted pirates in the old days and now is popular with tourists. The interior is a mix of areas once mined for tin, copper and other metals, pastoral farmland and wooded valleys. Cornwall’s towns and villages embody the area’s customs, history and legends – lovely to visit with plenty of opportunities to engage in the regions’ unique specialties. There are ancient fishing villages where time stands still, plenty of prehistoric relics to explore, castle ruins and an intriguing Celtic history. The area is also known for its mild climate year round by comparison to the rest of England and this sets the conditions for the many gardens and varied species within the gardens. Also, surprising to some, Cornwall is the largest producer of daffodils in the world. The fields are mesmerizing whether in bloom or with a hint of buds. St Ives, Cornwall County. St Ives is a bustling village during all seasons. Once a fishing village, it is now a popular place for visitors to come to explore the beaches, surf the waves, walk the trails, and visit the shops and art galleries. The village is quaint with its winding cobbled streets, timeless architecture and a really lovely harbor front. St Ives makes a great base to explore other areas in Cornwall. London Area. Should you be interested in adding days and nights to either the beginning or end of your time with Great Circle Route, we will be more than happy to assist you in deciding where you might like to go and help with the arrangements if needed. The list of activities in the London area is endless. There is good public transport that can get you anywhere you want to explore and London is also a fun city to walk. Some of our favorite places to visit include Westminster Abbey, The Churchill War Rooms, the British Museum which has wonderful Greek and Roman Britain artifacts and of course the Rosetta Stone (I rarely make it off the ground floor), the National Gallery and National Portrait Gallery, the British Library, the Victoria & Albert Museum, Tower of London, National Maritime Museum and the Royal Observatory in Greenwich to see the prime meridian, and all the parks – Green, Hyde, Regents and my favorite, Kensington Park (I always try to locate the Peter Pan statue as my guide). Passport and Visa Requirements for U.S. Citizens. Passports must be valid for at least three (3) months beyond the period of intended stay and issued within the past ten (10) years. It is further recommended that your passport have at least six (6) months validity remaining beyond the date of completion of the holiday and ensure there are a sufficient number of blank pages in your passport (usually 4 to 6). Consult the U.S. Department of State’s website for the most current country requirements. No Visa is required for stays up to 90 days. NOTE: Currently some locations in the United States are using Automated Passport Control systems for re-entry into the United States which precludes stamping of passports. Weather. The weather in all of England can be quite changeable with sunshine one hour and overcast or a brief shower the next. It is for this reason that the dynamics of the changing skies add to the beauty of the scenery. It is important to note though that the weather is always manageable. The temperature in the Cornwall area is milder than other areas of the United Kingdom. Some walk itineraries might change due to path conditions or weather. Single Supplement. For single travelers, should you require a single room there may be a supplement if we are charged a supplement. Typically, holidays in the United Kingdom do not require a single supplement. In the event there is a supplement, we will notify you of this in our quote to you and prior to your booking.